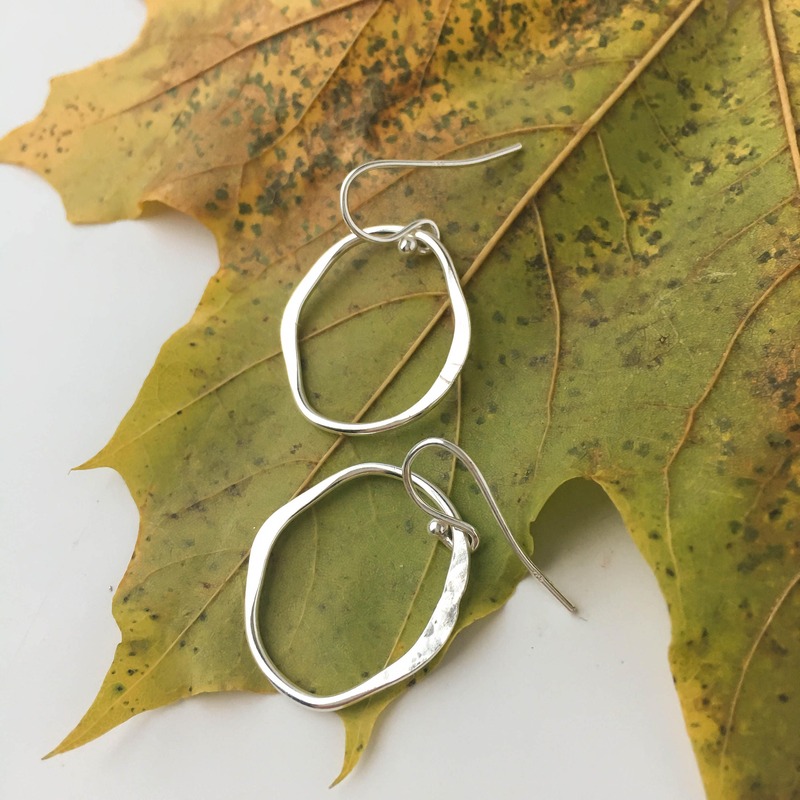 These dangle hoop earrings are handmade with nickel free Argentium Sterling Silver. They are formed by hand, soldered and gently hammered for just the right amount of texture and dimension. I give them a high polish so they reflect the light perfectly and they drop from nickel free sterling silver french hook ear wires. These are designed to be lightweight and super comfortable to wear, perfect for everyday! 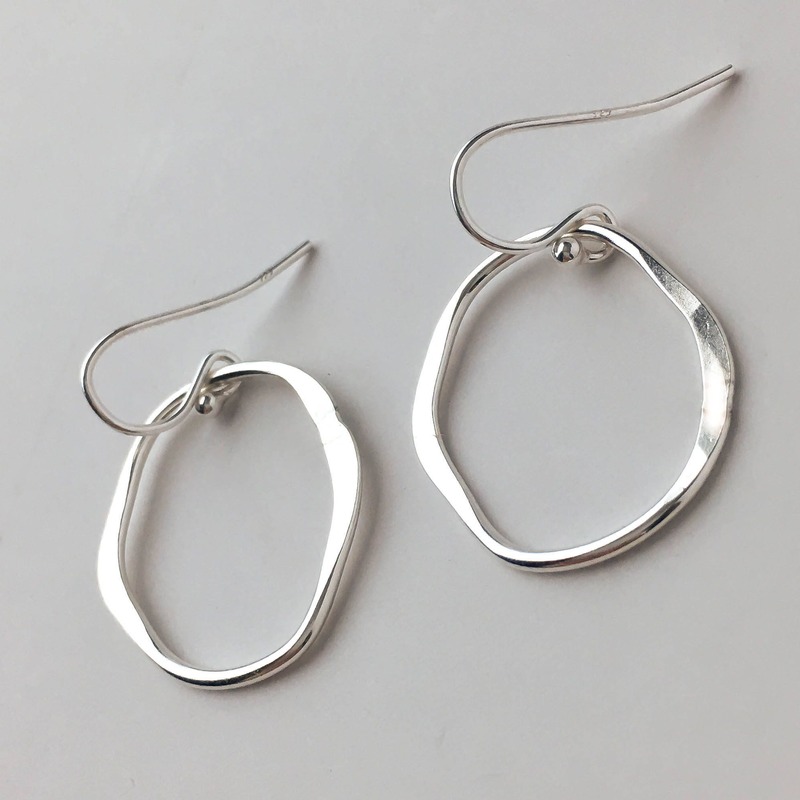 * Total drop is 1" from the ear and the organic shaped hoops are just under an inch across. * Tarnish resistant. Because it contains no copper it doesn’t tarnish like traditional sterling silver. It maintains a bright shiny finish about 7 times longer than sterling silver. 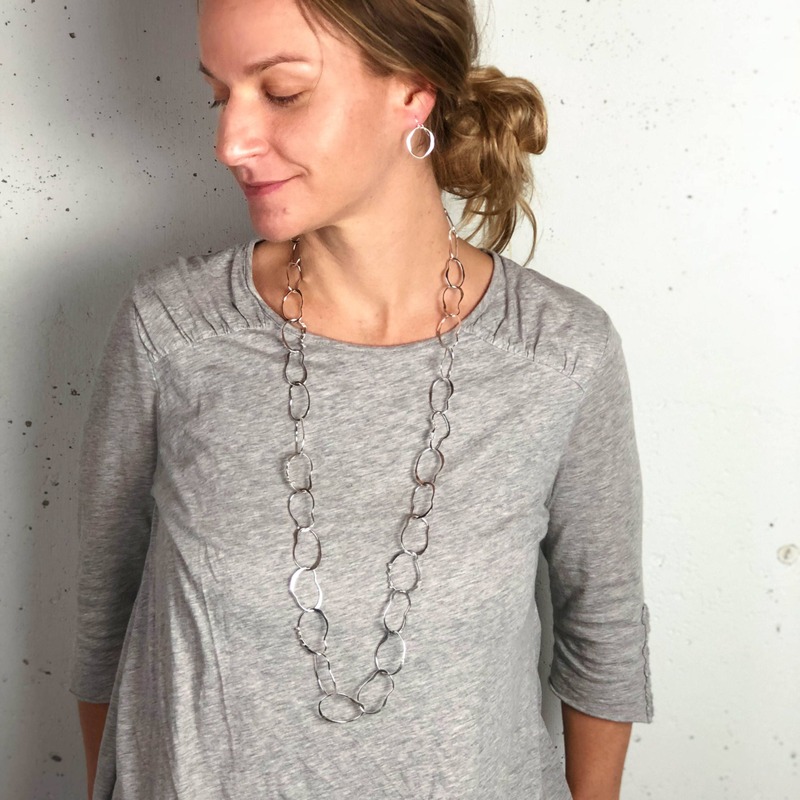 We use Argentium Silver in our jewelry because we want to create pieces with quality materials so our jewelry can be effortlessly enjoyed for years and years to come! Argentium Silver is great to work with, we handcraft each piece and it solders and forms beautifully. 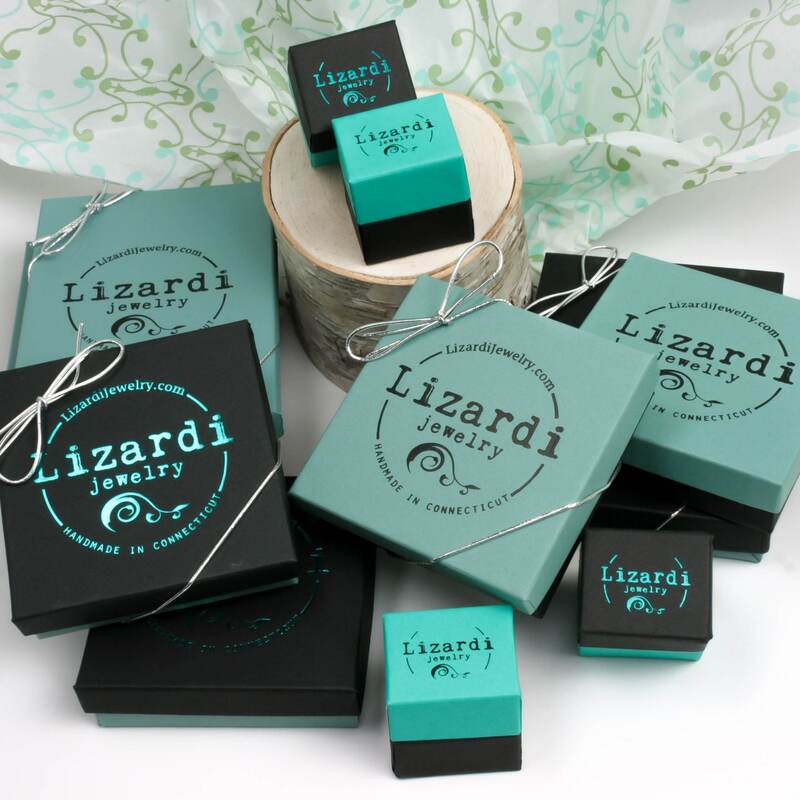 It’s a joy to use and the finished jewelry is just that much nicer and brighter. Perfect length for me. Light weight and high quality craftsmanship -great combo. Arrived in the time estimated. I am so pleased. They are my new favorites! Thank you for your creativity. I will be back! Love these earrings. This is my second time to order your earrings and was not disappointed each time. They are the perfect size for me. These are stunning - my new daughter-in-law was very excited to receive these for Christmas. 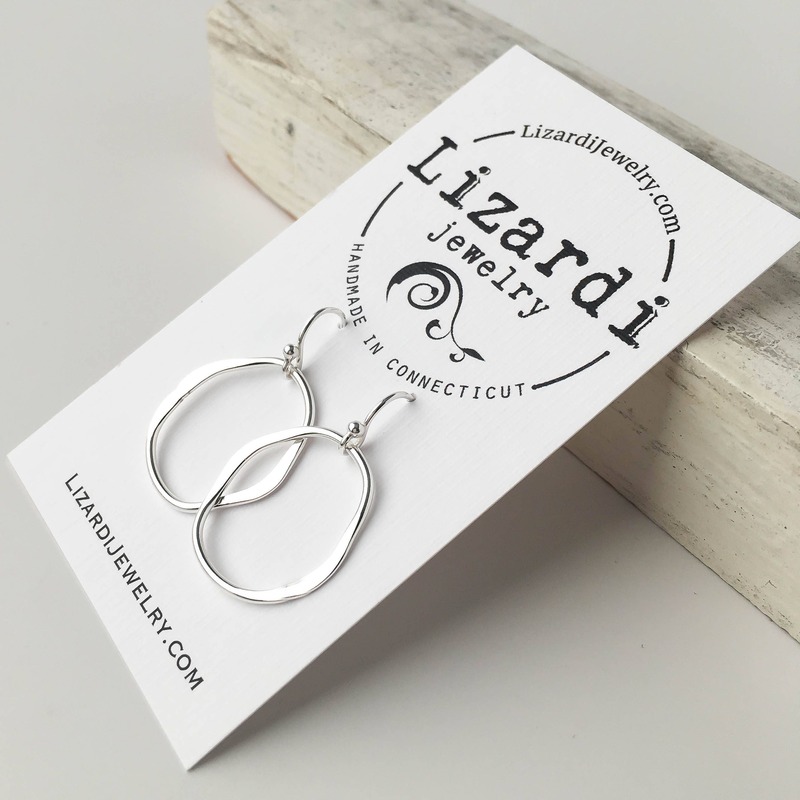 Love these earrings-look terrific with necklace purchased-Roxann switched out the ear wire to a lever back style-the silver work is amazing-and the set is spectacular! Thank you!